Several studies have reported the adverse effects of right ventricular apical pacing. Permanent His bundle pacing is proved to be the most physiological. But it can be technically difficult sometimes. 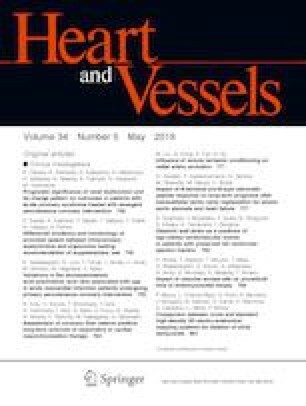 One recent large multicenter randomized trial showed that pacing from left ventricular apex or mid-lateral wall has the greatest potential to prevent pacing-induced reduction of cardiac pump function (by maintaining left ventricular mechanical synchrony) and, therefore, can be considered as physiological site. In our study, we have wanted to see the outcome of left ventricular pacing through coronary sinus branch with active fixation bipolar lead as a routine pacing technique in patients with symptomatic left bundle branch block. In our study we have recruited 27 patients for left ventricular pacing through coronary sinus branch (as done in cardiac resynchronization therapy) with active fixation bipolar lead and 33 patients for right ventricular apical pacing (control) and compared left ventricular pacing with right ventricular apical pacing in patients with history of syncope with left bundle branch block in baseline electrocardiography who presented with atrio-ventricular block or prolonged HV interval (≥ 70 ms) on electrophysiology study in term of procedure and fluoroscopy time and short-term lead performance and left ventricular function. The results of our study showed that left ventricular pacing through a tributary of coronary sinus is associated with shortened QRS duration (21.10 ± 3.92 ms) and better LV function (higher left ventricular ejection fraction 64.00 ± 3.03 vs. 59.73 ± 6.73 and lower left ventricular diastolic internal diameter 4.58 ± 0.32 vs. 5.23 ± 0.40 cm) in comparison to right ventricular apical pacing. However, the total procedure time and fluoroscopy time was significantly higher (73.75 ± 11.02 vs. 63.32 ± 6.06 min and 7.08 ± 1.48 vs. 5.02 ± 1.39 min, respectively) in left ventricular pacing group. The results of this study indicate that transvenous left ventricular epicardial pacing may be an option for physiological pacing in patients with symptomatic left bundle branch block.